I canNOT believe that January is already at a close. Sheesh 2014, slow down a little whydoncha? It’s already time to racap my goal for this month, which was to experiment with making my own household and beauty products. I feel as though I did really well with this resolution. It began with a lot of research into the kinds of products that I could make at home.  I soon realised that there is a huge range of beauty and household products that are really simple to whip up yourself. Once I had a list of recipes going, I couldn’t wait to get started. I’m a fairly frugal person, and I don’t like throwing out things that are still good to use. For this reason I didn’t make as many beauty products as I would have liked this month. I have a bathroom cupboard that’s full of lotions and potions, and I didn’t see much point in making items that I already had. So I’m planning on making fresh products to replace the ones I’ve got as I use them up. – Tub tea using a pair of ripped tights, oats, powdered milk, Epsoms salts and bergamot oil. I also experimented with substituting simple household products for commercial cleaners, which was interesting. 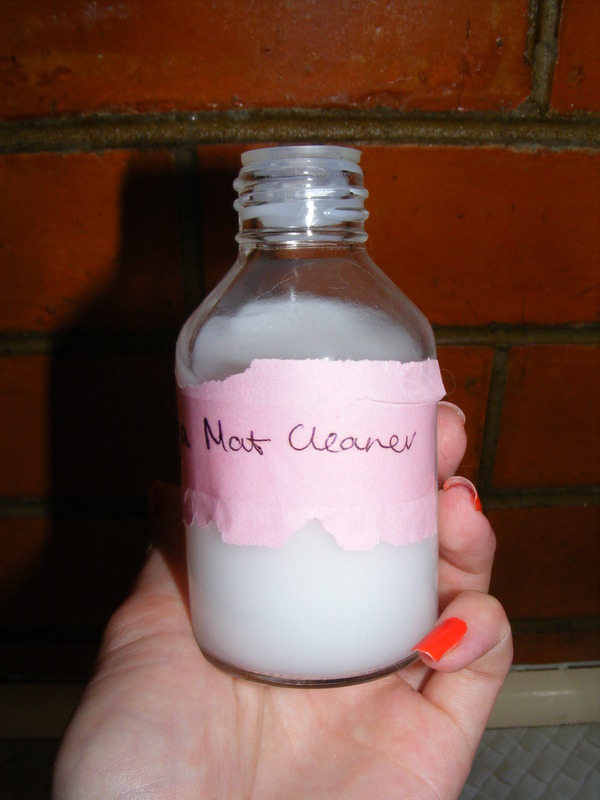 My yoga mat cleaner is so easy to make. Just mix 5 drops eucalyptus essential oil and 5 drops of tea tree oil with a cup of distilled water and pop into a jar or bottle. Use it to wipe down your yoga mat to keep it clean and smelling fresh. This laundry detergent works a treat. 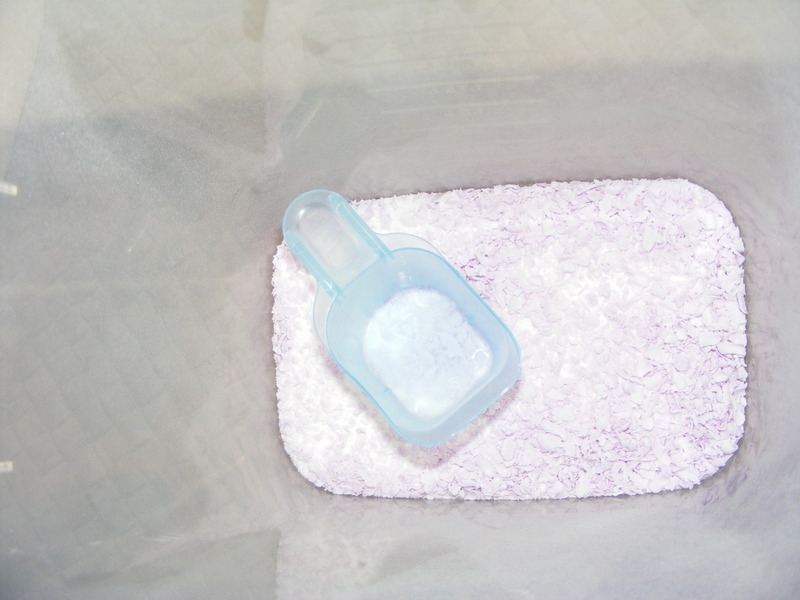 I just grate up a bar or soap (or use 1 cup of soap flakes) and mix it with 1 cup of borax and 1 cup of washing soda. Just add one scoop to each wash. 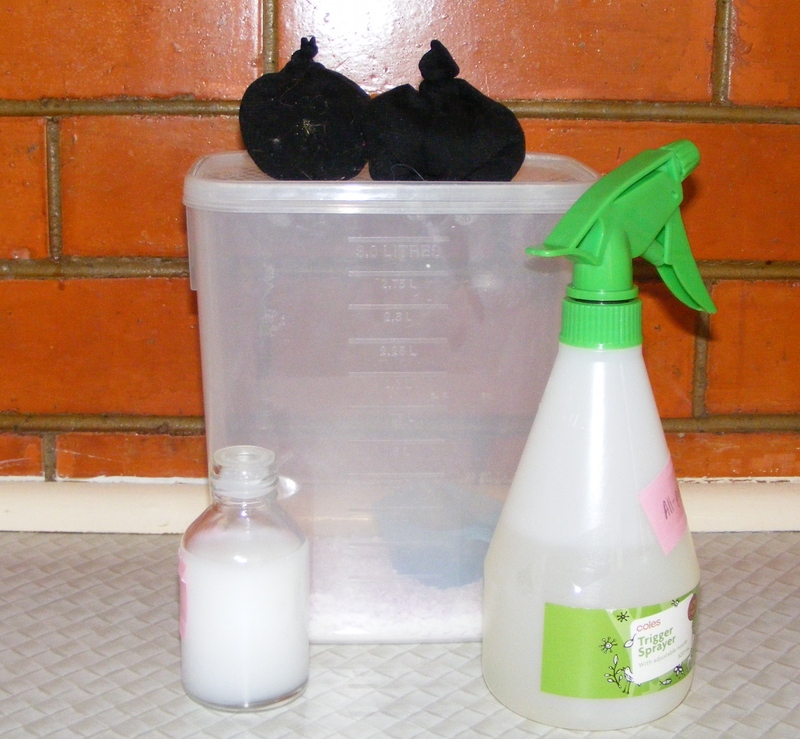 I had a great time experimenting with more natural cleaning products. Not only was it MUCH cheaper than buying commercial products, the natural versions worked just as well. It didn’t take much extra effort and I no longer get a headache from using loads of strong-smelling cleaners. If you’re interested in making the switch to all-natural cleaning, here are a few products that I recommend buying. Most of these can be used for a number of purposes, or act as the base ingredients in many of the recipes I used. 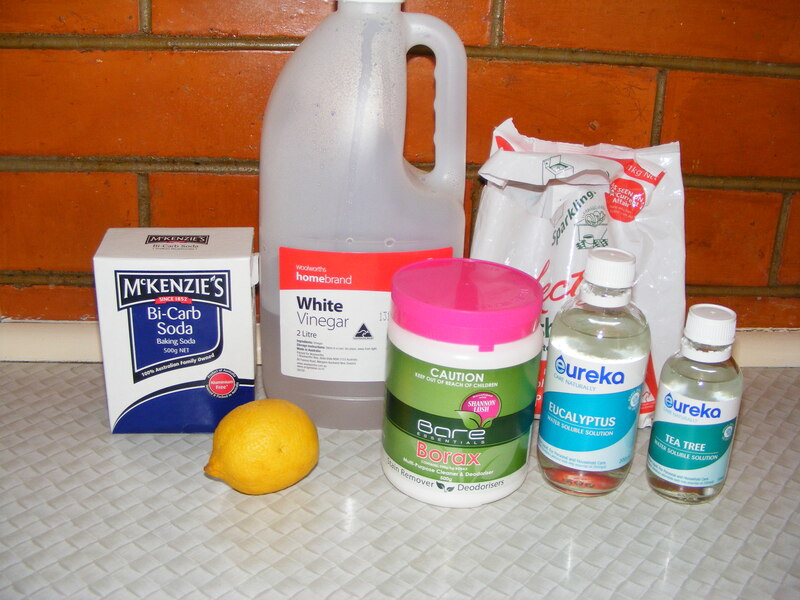 – White vinegar (is anti-bacterial and can be used for wiping surfaces, cleaning stovetops and kitchen appliances, cleaning the bathroom and toilet. Also, a capful in your wash will make your linens super soft and fluffy. – Bi-carb soda: is a natural deodorant. You can use it to absorb odors from carpets, microwaves, refrigerators, pet beds and stinky shoes. It also makes a bitching dry shampoo. – Lemon juice: another anti-bacterial agent that can be used to clean and deodorize. – Borax: Can be used in laundry detergent. You can mix it with vinegar to clean your toilet. It’s brilliant for scrubbing showers, tubs and sinks and lifts baked-on grease off your stove like a dream. – Washing soda: mainly used for laundry detergent but you can also use it as a dish washing agent. -Essential oils (particularly eucalyptus and tea tree) to deodorize and disinfect. A few drops of each in a bucket of water will leave your floors gleaming and smelling gorgeous. I feel like I did a pretty good job with this month’s resolution. I am looking forward to trying out some more recipes as the year continues. Previous Disney Villains makeup tutorial: Kaa from The Jungle Book. *PS* Thank you very much for both of your wonderfully nice blog comments this week, honey. It’s always exciting to be told that something I wear is one of my readers/online friend’s new favourite outfit they’ve seen me sport. I was so shocked when I found out that those four ingredients were enough to clean practically everything. I was sure that it had to be a trick. But nope! They work like a dream. You’re very welcome! You always look sensational, but there are some outfits that are extra-super-special and I like to let people know when I love what they’re wearing. Borax also works wonders on “pit stains” – really stubborn ones, if you work the borax in with a toothbrush it will take out almost any stain. Even managed to get years old pit stains out of a vintage cotton dress with it. You can also use it in your dishwasher in the powder compartment. I always have a jar for making cold cream … but it always ends up getting used when we run out of laundry powder or dishwasher tablets. I bought the jar of borax when I made my first batch of cold cream. I was a bit concerned because I wasn’t sure if I would find any other uses for it. How hilarious! I use it all the time now, and it’s become a staple on my shopping list. Thanks for posting this, Ness! I made the switch to natural cleaning and beauty products a while back and have found it to be an expensive exercise. I hadn’t really considered making my own (beyond using apple cider vinegar and water in a spray bottle, and bicard soda, to wash my hair) because I didn’t know where to start. You have inspired me to give this a go! No worries! I actually had loads of fun exploring the different options available. A lot of the ingredients for beauty recipes are things that I already have hanging out in my pantry (coconut oil, green tea, natural yogurt, honey). Many of the items I use for cleaning can be used for multiple purposes which is really handy. Also, I like to recycle jars and containers from my pantry to put the finished products into. I’ve found it to be a lot cheaper than buying traditional household products (and also cheaper than buying a lot of the eco-friendly versions).